Thailand has a rich history of boxing and ever since Pone Kingpetch became the country’s first ever world champion in 1960 the Kingdom has consistently been producing world title contenders. For most the country is more closely associated with Muay Thai but there are a handful of boxing promoters who are hoping to change that by finding local fighters with the talent to succeed on the international stage. Thainchai Pisitwuttinan last year became the youngest promoter in the history of boxing when he put on a fight between Srisaket Sor Rungvisai and Yota Sato which had the WBC Super Flyweight title at stake. The 25 year old, who has been involved in the sport in some capacity or another since he was a teenager, believes that fight was a watershed moment for Thai boxing. “The fight was a huge success as we attracted tons of fans to the event and we were able to revive boxing in Thailand from its lowest point, when Thailand had no boxing world champion or boxing star in any division, through Srisaket winning the world title in an extremely entertaining way,” he told Fightland. 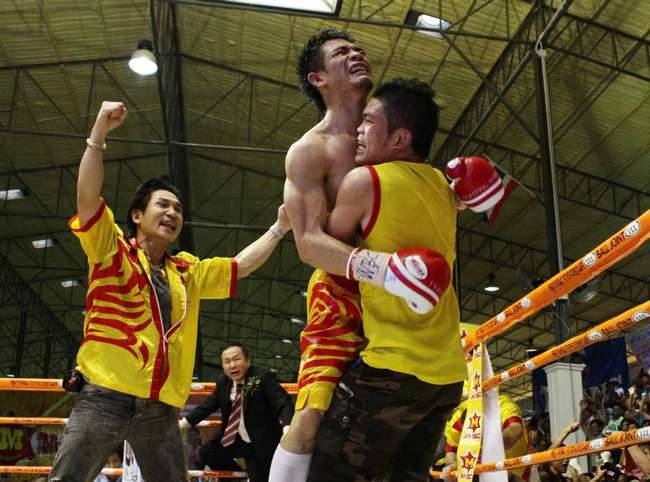 Srisaket stopped Sato in the eighth round to seize a title which the Japanese fighter had successfully defended twice and it was a particularly satisfactory moment for Pisitwuttinan because the bout, which took place under the banner of Nakornloung Boxing Promotions, had not been an easy one to put together. Although this was perhaps the highlight of Pisitwuttinan’s promotional career he says nothing gives him more pleasure than to see a fighter turn their life around by succeeding at the sport and this remains one of his major motivations. 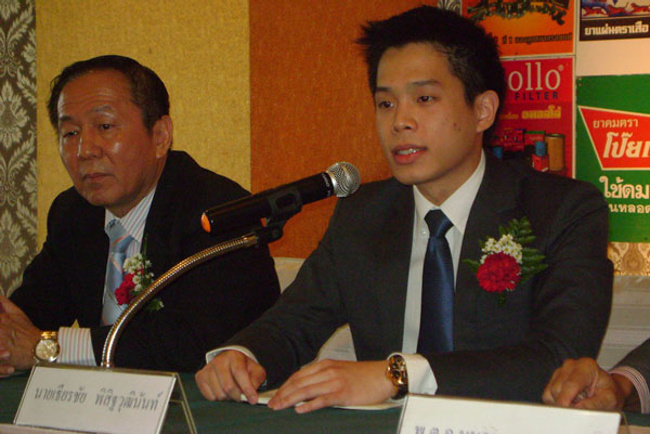 The two most obvious examples of fighters who have turned their lives around under the guidance of Pisitwuttinan’s promotional vehicle are Srisaket and Suriyan Sor Rungvisai. Despite sharing a surname they are not related but both were plucked from poverty before fulfilling their dreams of becoming world champions. “Srisaket has a very interesting story. He came from a very poor family in Sisaket province in Thailand, and he had to move into Bangkok to escape from poverty when he was only 13 years old. When he arrived in Bangkok, he had to walk more than 60 miles by foot to apply for a job as a trash collector at a department store in order to feed himself, life was extremely rough for him that he sometimes had to eat leftovers he collected from the garbage just to survive,” Pisitwuttinan said. Srisaket currently has a professional record of 27-4-1 and held the WBC Super Flyweight title for a year before coming up short in a recent defense in Mexico where he dropped a technical decision to Carlos Cuadras. The 27 year old is hoping to work his way into contention for another shot at the belt and Pisitwuttinan says Srisaket has come a long way since he first started fighting to supplement his meagre income. Srisaket saw a 26 fight win streak snapped by the loss but Pisitwuttinan believes his protégé has the mentality to bounce back and become a world champion for the second time. 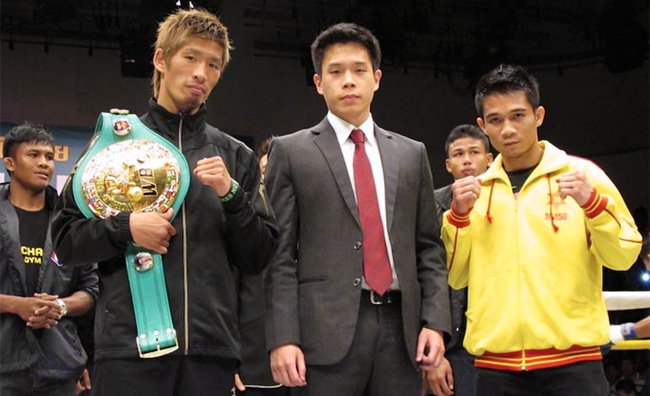 Suriyan is Nakornloung’s other major success story and he held the same WBC Super Flyweight title as Srisaket, making one successful defence before losing it when he dropped a decision to Sato in Japan. According to Pisitwuttinan he also turned his career around after some indifferent early results. At this stage Suriyan came to the attention of Pisitwuttinan and his colleagues and they started to take a close personal interest in his career. Although he has come up short in two world title tilts Suriyan is currently riding a 16 fight winning streak and is on the cusp of securing a third title shot. Regardless of whether he and Srisaket ever reach the pinnacle of the sport again both have changed their lives and achieved a degree of financial security which would have been impossible in any other industry. For Pisitwuttinan taking fighters who are in danger of becoming journeymen or struggling to make ends meet and turning them into world title contenders is the best part about being in the boxing business.